I’ve never read any of Christie’s books but I’m very aware of her contribution to literature. Miss Marple and Hercule Poirot are legendary characters. I’m especially familiar with the latter thanks to David Suchet’s portrayal of him in the TV series my mother loved to watch. 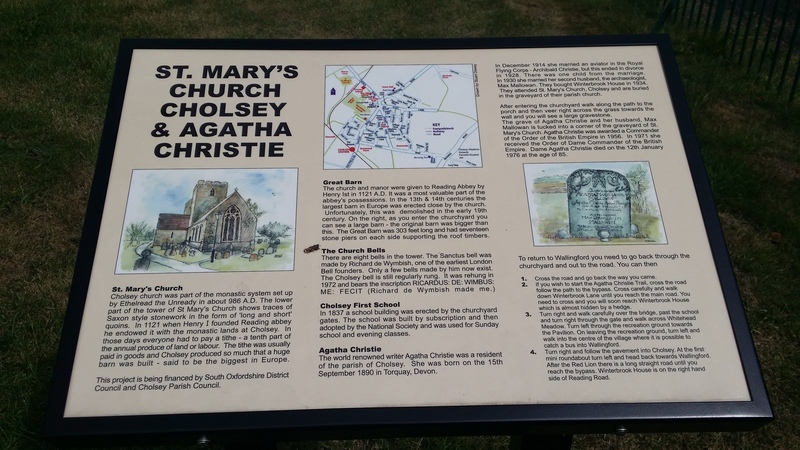 Despite her huge success, Agatha Christie is buried in the small village of Cholsey near Wallingford, UK. St Mary’s church is surrounded by fields and on a warm afternoon we visited only the sounds of playing school children and tractors were all that could be heard. 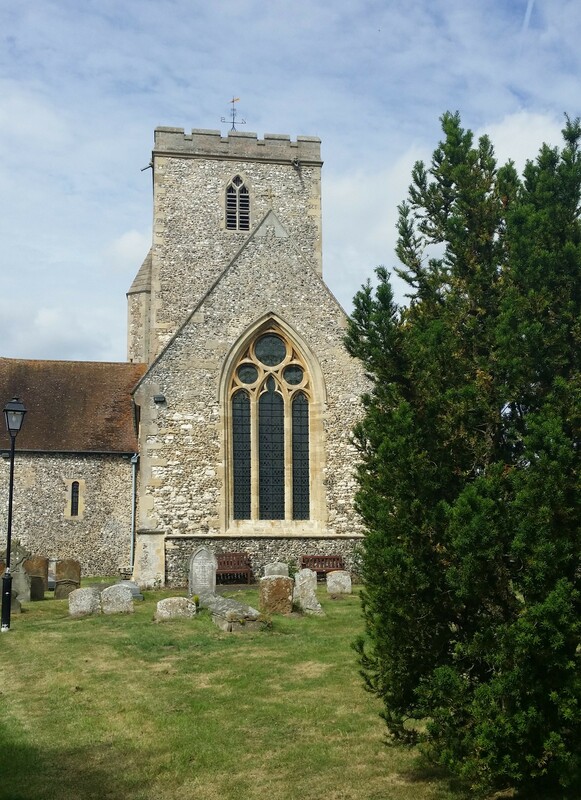 The churchyard is quite large for a rural location dotted with memorials and trees. Christie ‘s grave lies near to the back. A helpful information board on your way in lets you know where to go if you wish to find it. 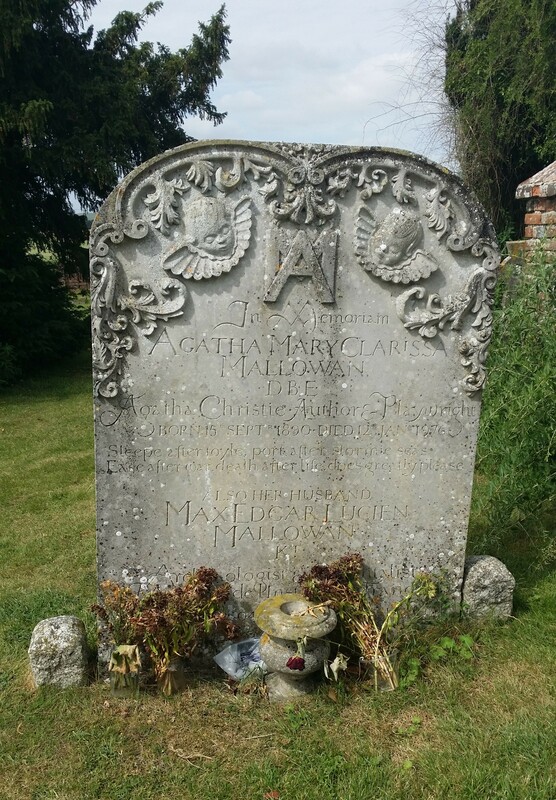 It’s not prominently located but the headstone is a rather lavish one, engraved in a lovely, delicate script. Christie is buried under her married name of Mallowan. Her pen name and title of ‘author and playwright’ is noted underneath. 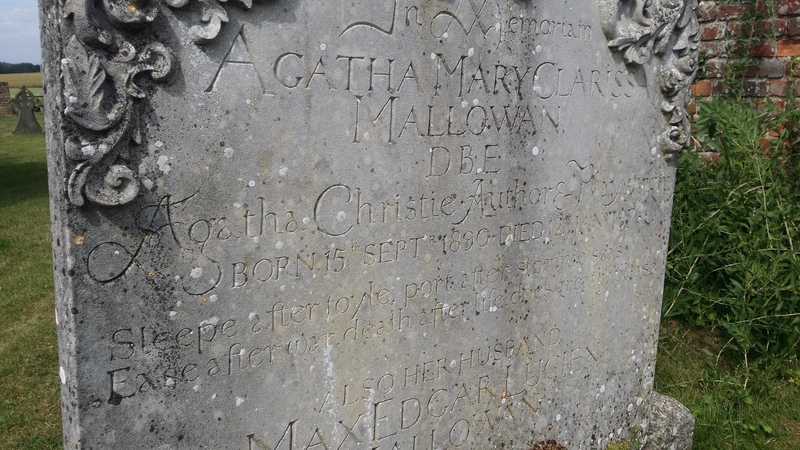 Her second husband Max Mallowan, a famous archaeologist, is interred in the same grave. It was a very peaceful and pleasant place to visit. Christie’s house can be found in the village but unfortunately, we didn’t have time to find it. If you’re in the vicinity, it’s worth taking a look. What do you think of this place? Let me know in the comments below. 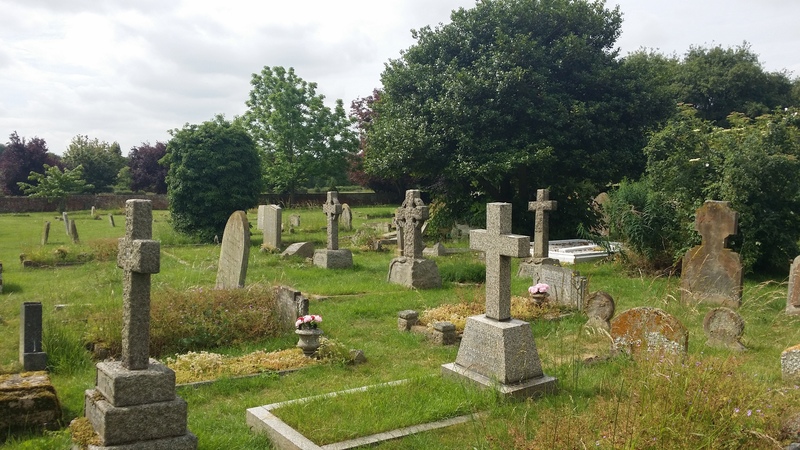 totally captivating and a little creepy…l love to visit old graveyards. Yeah I’m a sucker for them too. Highgate’s a good one to visit. I am a lifelong fan!